Other than being the son of a Hollywood legend, Dylan Brosnan is leaving nothing to chance in his bid to have his name written in the history books of celebrity kids who didn’t live off their parent’s fame, but carved out a career of their own and were successful therein. He is a young lad who wears many caps as a singer and songwriter, cinematographer and of course model which he is famously known for. Being that Dylan has been around the block not too long ago, a lot is still not known about him and how he is going about his career. Be that as it may, we have gathered ample facts about Pierce Brosnan‘s son here to satiate all you would want to know about him. Before he kicked off his modelling career that has now got heads spinning and voices cheering at his direction, Dylan Thomas Brosnan was once a little boy who wobbled in the home of Pierce Brosnan and Keely Shaye Smith. He was born on the 13th day of January 1997 in Los Angeles, California, United States. Dylan Brosnan has as his siblings Charlotte Brosnan (half-sister), Chris Brosnan, Sean Brosnan (half-brothers) and Paris Brosnan (brother). Looking at who his parents are, we can infer fairly accurately that their high social standing did well to give Dylan a lot of exposure early in his life. One of such privileges materialized in 2014 when a French fashion designer and photographer Hedi Slimane spotted and thought him good enough to try out modelling. Dylan Brosnan accepted the offer and thereafter went on to model several times for Saint Laurent before securing other gigs with Burberry and Ella Russia. All these early achievements of his can be considered remarkable for someone as young as he was at the time. Dylan Brosnan made his debut as a model at the Saint Laurent Men’s Permanent Collection in November 2014. On that particular day, he looked all natural, showing off his freckles and shaggy hair while the rest of his body was clad in a black suit accompanied with a bowtie. Afterwards, he had a couple of other modelling jobs before he featured on Burberry’s spring/summer 2016 campaign alongside British model Bella Yentob, Ruth and her sister May Bell. Though there are no ready and reliable records of what high school he went to, Dylan Brosnan has been reported by several sources to have schooled at the University of Southern California School of Dramatic Arts. While he was there, the young Brosnan was a production assistant on the short film Poisoning Paradise. As a cinematographer, he worked on The Young Motivators Club as its director of photography. We mentioned earlier that Dylan Brosnan is a talented kid, yes, we are right about that. Other than his runway endeavours, Pierce Brosnan’s son has also shown his musical side. He stands in among the crop of upcoming musicians as a singer and songwriter. To his credit, Dylan has written lots of songs and is a member of the band called Raspberry Blonde. Currently, he works mostly solo in his studio; writing all the band’s songs, recording and producing same. Thomas only plays with the band during their live shows. It is probably because the youngster is cooking up some nice tunes and we look forward to when he is set to release them. The lucky lady in Dylan Brosnan’s life is the painter and artist Avery Wheless. The pair made the headlines on February 15, 2017, after they were spotted on Valentine’s evening going out on a dinner date. Sources who dug deep into their relationship revealed that they have been together for a very long time. One vital qualification for any model is to have good looks. Dylan thought so too and in fact, never believed anyone could want him for anything related to modeling. In his own words, Brosnan said he wasn’t muscular and indeed he is still not. 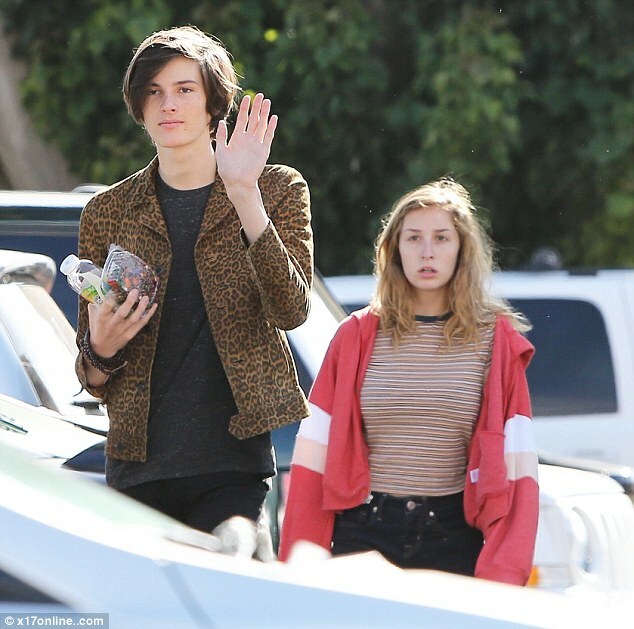 This is not to say that the young man is lacking in looks, but perhaps French photographer Hedi spotted something else in him when he met him on that fateful day in a coffee store at Malibu beach. Dylan Brosnan’s height which now towers at 6 feet 3 inches must have played a good role that day. His other body measurements like his biceps, chest, waist, and weight weren’t within our reach as at the time of writing.